One of the questions most often asked of concession stand owners is what makes this business so appealing. For people who have an interest in starting up their own concession stand, knowing what the actual benefits are can be essential before making the investment. Owning a concession stand has quite a few benefits as this article will discuss. Many people have dreams of becoming their own boss. For many though, it is just that – a dream. Starting a concession stand business can turn that dream into a reality. In fact, it is much easier than you might imagine thanks to the low barriers to entry. Depending on the type of concession stand you start, and the size of the booth needed, the costs can be very low. Most of the time it is possible to get into the business with between $5,000 and $10,000, sometimes even less. Getting a business loan for a smaller amount is also easier than trying to get a larger loan for a restaurant. How much time do you have to put into the business? Many people who eventually want to become their own boss still need to work a full time job. They might only have time on the weekends to devote to another business pursuit. 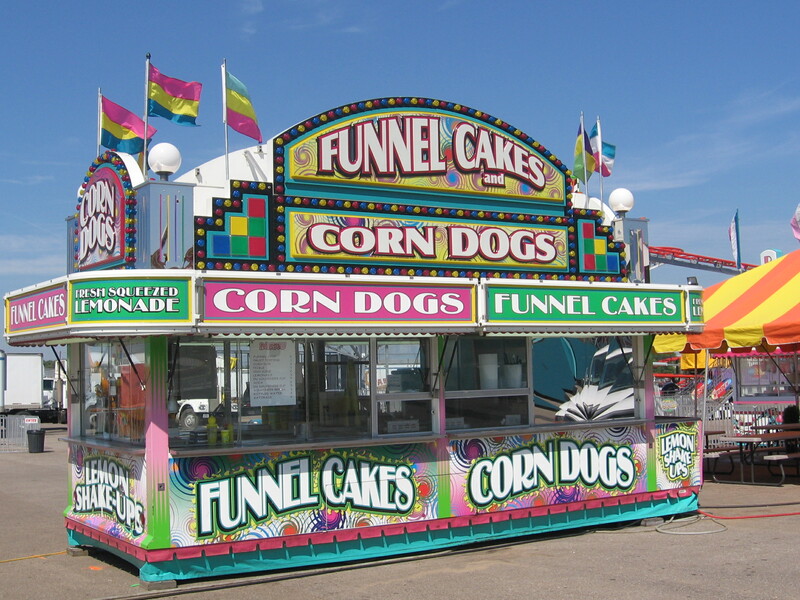 Fortunately, that’s perfect for concession stands, as most of the events occur on the weekends and in the evenings. It is possible to work part time and then to expand the business as your success and knowledge of the profession starts to expand. While you might not strike it rich with a concession stand business, you can make decent money when you have a good business plan in place. If you are doing it in your spare time, it can help you pay off other debts and bills each month. If you are able to commit to running the stand full time, then you can make an even better living. Best of all, you will finally have the freedom of being your own boss. If you always wanted to get into the food business, but you felt that you did not have the money or the time, a concession stand might be the best way to enter the field. It can be an enjoyable job where you get to meet new people all day long and where you don't need to get dressed up just to go to work. You can utilize your creativity to create some new menu items that your customers will love and rave about. It’s like having your own miniature restaurant without needing to worry about all of the risk associated with an actual brick-and-mortar establishment. Some owners want to own a stand and do the behind the scenes work while others run the daily operations. This is entirely possible with a concession stand, and it is another benefit that this field offers. Working in the field has the above benefits and many more. However, it is not all fun and games. Owners of concession stands need to put in a substantial amount of work. Whether they work physically at the stand or have other employees, it can be tiring. They need to develop a business plan, do the inventory, keep the books, clean, pack and unpack, and much more. However, those who are in the field and doing well are very happy with this line of work.